That is, if I’m a big-name influencer, and I cut a sponsorship deal with a brand, I’m actually taking money away from the platform where that sponsored video runs. The brand could have just bought ads directly on the platform, but my sponsored video is probably better, probably cheaper, and connects directly with fans in a way that plain old advertising almost never does. Money that comes to me directly is money the platform never sees, and never gets to slice off a share. What does that mean for the platforms? For one, the platforms have a major incentive to make sponsored posts less prominent, less visible, less lucrative, so that brands will advertise on them directly, and give the platform a cut of the action. And, no shock, that’s what some creators claim the platforms are doing. And what does it mean for influencers? To make the most money possible from the huge audiences they’ve built, usually across multiple platforms, influencers need to cut out the middle man, the distributor/platforms that skim off ad dollars, crimp their style, and interfere with their fan relationships (after, of course, making their vast audiences possible in the first place, off all that free creative labor). Can You Own Your Audience Beyond the Platform? It’s an area ripe for change, according to Sephi Shapira, the CEO of EscapeX. The company’s main product is custom mobile apps for about 250 big-name influencers, allowing them to move beyond the platforms’ rugged revenue shares, arbitrary algorithm shifts and demonic demonetizations. EscapeX’s clients include notables such as comedian Chris D’Elia, pinup queen Dita Von Teese, YouTube star Bart Baker, and Oscar-nominated actor Jeremy Renner. But those American pop-culture notables are only a minority of EscapeX clients, which include herds of gigantic stars you’ve never heard of, from major Internet markets such as India, Indonesia, and Brazil. They include performers such as Filipino singer/dancer Teejay Marquez, Indonesian singer/actress Luna Maya, Indian celebrity chef Sanjeev Kapoor, and Colombian model Vivi Castrillon. Many of those became prominent doing something other than being on social media, but have built big followings online as a result. They’re essentially brands somewhere else before they became brands online. That said, few should be surprised that some of the most popular EscapeX apps belong to female performers such as Von Teese and Castrillon, and swimsuit model Abigail Ratchford. EscapeX’s approach reminds me of several other companies I’ve seen over the years. All promised what I’ll call a “Lord of the Apps” for influencers, i.e., one app to rule ’em all. These companies’ apps generally promise to move influencers beyond whatever platform first gave them an online presence, while opening up new ways to make money. No individual celebrity is big enough to have their own stand-alone technology platform behind an app. 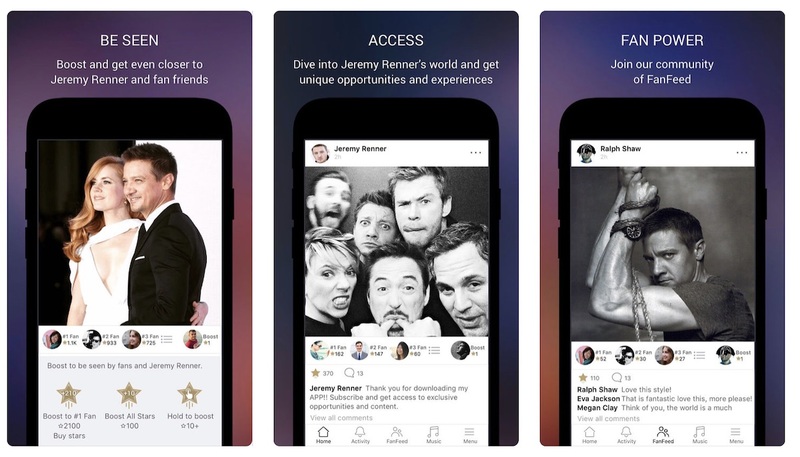 No individual celebrity can create enough unique content to sustain a stand-alone app. User-generated content has to provide just about all of a star app’s content for it to be sustainable. A stand-alone app has to provide some kind of experience that fans can’t readily get for free on the social-media platforms. Add in the millions of dollars needed to build a competent tech back-end and engaging user experience, and most such app builders never quite seem to make it all work. Tim Sovay, COO of CreatorIQ, which tracks brand deals involving about five million <influencers, agrees about the challenges facing any influencer-app site, and adds another: the platforms are getting better at keeping happy the influencers who create so much content and audience engagement. Beachfront Media, which provides publisher solutions for over-the-top and connected-TV ads, has also had an influencer app whose biggest star is Watchmojo (19.7 million YouTube subscribers). The company’s founder and President, Frank Sinton, too noted the challenges of getting followers off one platform and onto a new one at a scale worth chasing. Can Influencers Still Be Influential Off Their Preferred Platforms? And Sovay would add another challenge: “Most influencers don’t now how to promote outside of the social platforms.” Perhaps it’s not a surprise. Influencers became famous by optimizing for a very specific set of rules on a given platform or two; those skill don’t automatically transfer to other settings. So, it’s not an easy play. Sovay pointed to ballyhooed app creators such as Victorious, which raised $25 million and is now gone, and Whalerock Industries, which most famously built “digital hubs” for several members of the Kardashian-Jenner clan. Last month, after nearly four years of running the hubs, four of the Kardashian clan closed their digital outposts without giving a reason. It’s possible the Kardashians were too busy to run the hubs anymore, especially given their many babies, TV shows, endorsement deals, and other distractions. Maybe it wasn’t worth the trouble anymore. And while the hubs were operating, they seem to have been lucrative for at least a time. In 2016, Forbes estimated Kim Kardashian West grossed more than $45 million from her online ventures, branded emojis, and product endorsements. So perhaps the Kardashian/Jenner decisions were less about the value of the apps and more about another immutable fact that faces even the most industrious influencer: as Sovay put it, there’s still only 24 hours in a day. Sinton said such apps work best when the star is “niche, with a very loyal audience,” and pointed Crunchyroll and “the anime crowd” as an example of where it’s worked in the past. Are Mobile Apps the Answer? EscapeX takes a somewhat different approach than some others, notably with its mobile focus and international bevy of stars, a majority of whom have huge followings far from the United States. Even among EscapeX’s 100 or so U.S.-based influencers, less than a third of their followings come from the United States, a reflection of the increasingly global nature of the Internet itself. EscapeX gives fans its stars’ apps for free, along with a bit of virtual currency, which fans use to boost the visibility of posts (one moneymaker is selling lots more virtual currency). Should lots of other fans like one of your posts, you can earn currency in turn. The app is game-ified: “Top 3” fans get consideration for goodies like access to meet-and-greets, product giveaways and more. As EscapeX puts it, the apps are a chance for fans to “#BeSeen” by the stars. 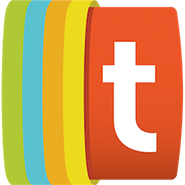 Crucially, the apps offer subscriptions as well, at prices up to $9.99 a month. At this point, Shapira said, celebrities can pretty much count on converting a tiny but meaningful percentage of their social-media fans into app users, and in turn converting 15 to 20 percent of those free app users into paying subscribers. The apps can generate tens of thousands of dollars in revenue per month for some influencers, Shapira said, though amounts vary widely depending on the celebrity, the size of their following and how/how often they engage with fans through the app. D’Elia, for instance, records podcasts a few times a week. While doing so, he turns on his phone’s camera and streams the podcast recording live to his app’s paying subscribers. Everyone else gets an edited, audio-only version of the podcast a couple of days later. “The innovation to me is taking something that’s not a resource (like D’Elia’s unedited live stream) and making it a resource,” Shapira said. It can be an athlete live-streaming her daily workout, or behind-the-scenes material at an event. But it all becomes additional revenue opportunities for savvy celebs. And of course, there’s still that vast opportunity with branded or sponsored content, here minus the restrictions, toll fees and algorithmic headaches of the big platforms. EscapeX isn’t the only one trying to make this work. This week, I met with the founders of a new company, PopFly XP, who are about to launch their first mobile apps focused on two baseball All-Stars, Adrian Gonzalez and Justin Turner. Both played for the Los Angeles Dodgers (Turner is still there), and Gonzalez is an investor. Founder & CEO Jesse Nunez formerly handled partnerships with the team. PopFly’s approach will focus on custom merchandise, branded content built around the players’ existing sponsor relationships, and an inexpensive option for subscription content for those players willing to create a fair amount of higher-value exclusive content, Nunez told me. The company expects to focus on signing more baseball players to custom apps, before expanding into other sports. I don’t know if EscapeX has cracked the nut of the standalone celebrity app, or if PopFly can hit a home run here with its slightly different approach. EscapeX’s focus on mobile, a tiered freemium subscription model, community building and international reach all seem smart. But regardless of what happens with EscapeX, it feels like there’s an opportunity here. Audiences are wary and weary of big social-media platforms. They’re disconnecting, especially from Facebook, even as the most ardent of them seek better ways to connect more deeply with the objects of their attention. CreatorIQ’s Sovay suggested that for all their annoyance with the big platforms, “there might be a disconnect between enthusiasm and habit” among many social-media users. The next hot platform might come from a digital giant such as Amazon, which already has Twitch and is planning more platforms, or the steadily growing and very sticky Pinterest, or even Bytedance, with its merged TikTok and a just-launched new Chinese video site. Or maybe it’ll all be virtual influencers like Lil Miquela from Brud, which just raised $20 million to $30 million. Apps like EscapeX give superfans more material, more engagement and more ways to support their favorite influencer, and do it all in a less constrained and better mediated way. As Sephira and Sovay point out, it’s not an easy play. But these apps create meta communities that straddle the influencer’s existing presence on the web, Facebook, YouTube, Instagram and Twitter, and then take hard-core fans to another level. As we’re discovering in lots of settings these days, feeding the superfan is a smart way to maximize your revenue. EscapeX’s next step, Shapira told me, is launching a tool that creates an individual app for just about anyone. When it arrives, we’ll be one step closer to a world where we’re all social-media stars, unmoored from Facebook, YouTube, and Twitter and all their problems and limits. I’m guessing we’ll probably still need to be on Instagram though. Insights: We Have Influencers And Games, But Why Not More Games From Influencers?